Baylor University prepares students for success in a wide range of fields, including business, education, social work, engineering, the arts, medicine, ministry, government and the law. Likewise, many Baylor student-athletes excel beyond their college days. As of the 2015-16 academic year, more than 450,000 student-athletes compete in 24 NCAA-sponsored sports over the Division I, II and III levels. An April 2016 NCAA study shows 3.2 percent of eligible student-athletes in 2014-15 were drafted across the six sports with major professional sports leagues in the United States: football (NFL), men’s basketball (NBA), women’s basketball (WNBA), baseball (MLB), men’s ice hockey (NHL) and men’s soccer (MLS). In 2016, more than 20 former Baylor student-athletes were active in the NFL, NBA, WNBA and MLB. Two former Bears accomplished remarkable feats in 2016: men’s golfer Jimmy Walker and women’s basketball player Brittney Griner. Americans won all but 12 of the first 89 PGA Championships. However, foreign players captured the event six times in eight years since 2007, when Tiger Woods claimed his fourth PGA title. Enter Walker, the former All-American who led Baylor to the 2001 Big 12 title. He held off a furious charge from then-World No. 1 Jason Day in the closing holes to win the 2017 PGA Championship at Baltusrol Golf Club in Springfield Township, New Jersey. 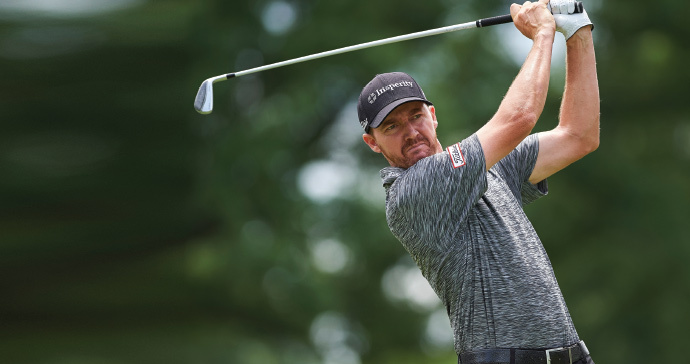 It was the sixth PGA Tour win of Walker’s career and his first in a major. Walker finished one stroke ahead of the field with a four-round cumulative total of 266—14 strokes under par. He became only the seventh player in the event’s 101-year history to lead wire-to-wire and the first to do so since Phil Mickelson in 2005. Griner’s roundball résumé includes superlatives like national champion and record-setter at Baylor, and No. 1 overall draft selection and world champion in the WNBA. In 2016, she filled perhaps the only omission on her list of accomplishments: Olympic gold medalist. 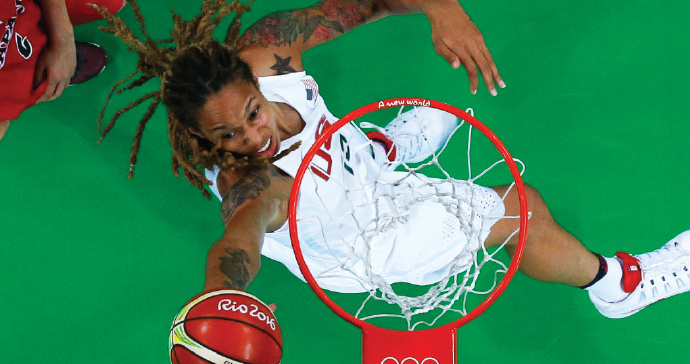 Griner played for Team USA in the 2016 Summer Olympic Games in Brazil, where she averaged nearly 10 points and six rebounds per game. Team USA dominated international competition in Griner’s first Olympic appearance, winning all eight games en route to the gold. In addition to competing in her first Olympics, Griner completed another strong WNBA season for the Phoenix Mercury, leading the league in blocked shots for a second straight season. Here is a look at other former Baylor athletes who are active professionally. More than a dozen former Baylor football players were on NFL rosters during the 2016 season, including kicker Matt Bryant with the NFC Champion Atlanta Falcons. Bryant, who played at Baylor in 1997 and 1998, was a Pro Bowl selection this season—his 15th in the NFL and eighth with the Falcons. Offensive lineman Blake Muir was a member of the Falcons’ practice squad. Other Bears in the NFL this season were defensive lineman Andrew Billings (Cincinnati Bengals); receivers Corey Coleman (Cleveland Browns), Terrance Williams (Dallas Cowboys) and Kendall Wright (Tennessee Titans); offensive lineman Spencer Drango (Browns); tight end Rico Gathers (Cowboys); defensive backs Demetri Goodson (Green Bay Packers) and Xavien Howard (Miami Dolphins); quarterbacks Robert Griffin III (Browns) and Bryce Petty (New York Jets); linebacker Bryce Hager (Los Angeles Rams); and deep snappers Jimmy Landes (Detroit Lions) and Jon Weeks (Houston Texans). Quincy Acy is a member of the NBA’s Brooklyn Nets, signing a multi-year contract with the organization in late January. Acy was a member of the Sacramento Kings last season and began the 2016-17 campaign with the Dallas Mavericks. Taurean Prince was a first-round selection of the Utah Jazz in the 2016 NBA Draft. He was traded on draft day to the Atlanta Hawks, with whom he remains a member. Several former Baylor men’s basketball players remain active professionally in the NBA Development league, and more than a dozen former Bears are playing professionally overseas. Griner and Odyssey Sims carried the mantle for Baylor women’s basketball alumnae in the WNBA for the 2016 season. Griner averaged 14.5 points, 6.5 rebounds and 3.1 blocks per game for the Phoenix Mercury. She posted the sixth triple-double in WNBA history and led the Mercury to the WNBA semifinals. Sims averaged 14.0 points and 3.9 assists per game for the Dallas Wings. She was traded to the Los Angeles Sparks for the 2017 season, her fourth in the league. Niya Johnson was a third-round draft pick of the Atlanta Dream in 2016. However, she was waived by the Dream and signed with BC Alte Kanti Aarau (Switzerland) of the EuroLeague. Four former Baylor baseball players were on Major League rosters in 2016. Pitcher Shawn Tolleson completed his fifth MLB season and third with the Texas Rangers; he signed a free-agent contract with the Tampa Bay Rays in December. Pitcher Logan Verrett was a member of the New York Mets in 2016, his second with the organization. In November, Verrett’s contract was purchased by the Baltimore Orioles. Infielder Max Muncy is a member of the Oakland Athletics organization, appearing in 51 games with the A’s last season. 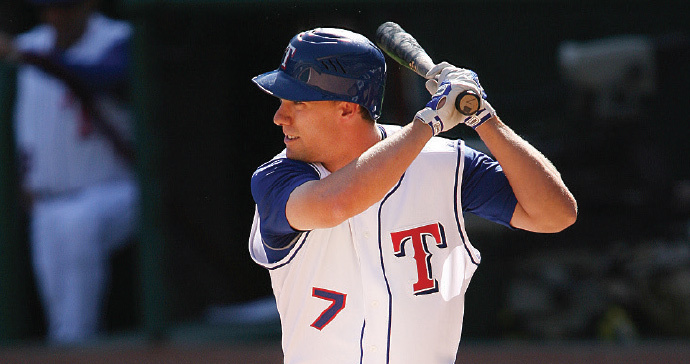 Outfielder David Murphy concluded his career in 2016 after 10 seasons with the Texas Rangers, Boston Red Sox, Cleveland Indians and Los Angeles Angels of Anaheim. Murphy had a career .274 batting average with 104 home runs, 472 RBI, 203 doubles, 950 hits, 440 runs, 54 stolen bases and 316 walks in 1,110 games—all best among Baylor players in MLB history. Additionally, seven former Bears were active in Minor League Baseball in 2016. Former Baylor tennis star and current World No. 6 doubles player John Peers was 46-23 with five Association of Tennis Professionals (ATP) titles in 2016. He and playing partner Henri Kontinen of Finland reached the Wimbledon quarterfinals. Peers, an Australia native, broke through in early 2017, teaming with Kontinen to win the Australian Open finals in straight sets. It was the first Grand Slam title of his career after reaching the finals of Wimbledon and the U.S. Open with England’s Jamie Murray in 2015. Benjamin Becker, who led Baylor to the school’s first national title and claimed the NCAA singles championship in 2004, continues to compete professionally in singles and doubles. His career earnings have exceeded $4 million, reaching career-high rankings of No. 35 in singles (2014) and No. 58 in doubles (2010). Becker reached the singles quarterfinals or better in six 2016 ATP events, including the finals of the ATP Challenger Columbus. Trayvon Bromell burst onto the track and field scene in 2014 when he became the first freshman to win the 100-meter dash at the NCAA Outdoor Championships in nearly a decade. He turned pro following the 2015 season. 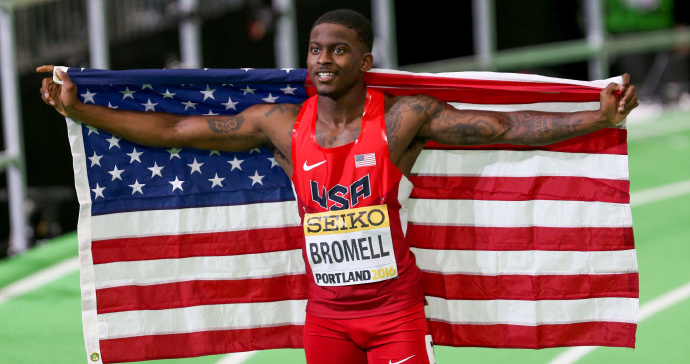 Bromell won the gold medal in the 60 meters with a personal-best time of 6.47 seconds at the 2016 IAAF World Indoor Championships in Portland, Oregon. He participated in the 2016 Summer Olympics, placing eighth in the 100 meters. He also anchored the U.S. 4x400-meter relay team. Former Baylor women’s golf standouts Hayley Davis and Lauren Taylor continued their professional careers in 2016. Davis played on the Symetra Tour, formerly known as the LPGA Futures Tour, and Taylor played on the Ladies European Tour. Midfielder Bri Campos, who earned All-Big 12 soccer honors at Baylor in 2013 and 2014, played professionally for Åland United in Finland. She has been named team captain for the 2017 season. Stella Odion, who played volleyball at Baylor from 2002 to 2005, continues her stellar professional career in Europe. The Houston native currently plays for CPB Rennes 35, an n2 club team in France.